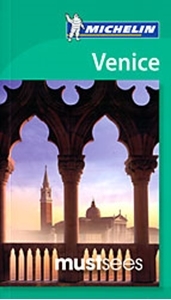 Venice in Michelin’s ‘Must Sees’ series is a lightweight guide containing must see information, must see sights, must do activities and must know practicalities graded using Michelin’s time-honoured star rating system. The guide opens with a section of useful ‘Must Know’ information that includes a calendar of events, practical tips on getting by and a summary of Michelin selected star attractions. The ‘Must See’ section of the guide look at shopping, nightlife and theatre, hotels and dining, parks and gardens, neighbourhoods, landmarks, museums, historic sites, practical information, events, tips and excursions. The ‘Must Do’ chapter includes a focus on activities for children, whereas places to eat and places to stay are reviewed in the ‘Must Eat’ and ‘Must Stay’ chapters.